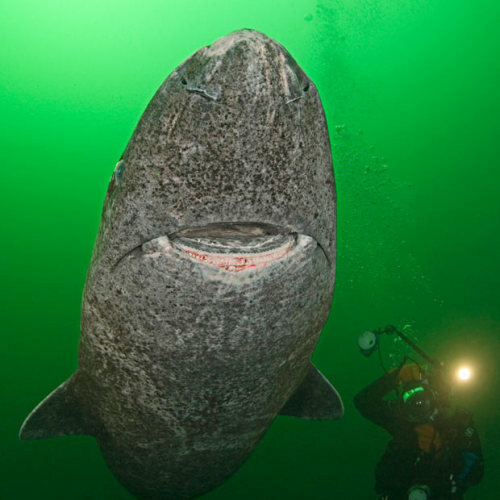 A diver swims alongside a Greenland shark, a rarely-seen species that looks like it has been etched from stone. They can survive for more than 200 years at depths of up to 600 metres under Arctic ice. They grow to 23-feet long and are so fearsome they have even been known to eat polar bears. They can live for 200 years AND eat polar bears. I'm feeling okay about Mother Nature.